In lieu of platform keynotes, this year's Game Developers Conference in San Francisco scheduled only one big keynote speech, but it's with Civilization's Sid Meier. The Games Developers Conference has been around for a very long time, almost 23 years. The event has always focused on the people who actually make the games that we love, and is less about the message that publishers or marketers want you to think about the latest hotness. GDC 2010 is no different, with a slew of great panels and a keynote speech on Friday morning from the King Of All Civilization, Sid Meier. The Escapist will be at GDC en masse, and you can expect to see written and video coverage of everything that goes down in San Francisco on March 9th through the 13th. 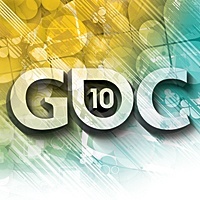 In preparation for our coverage, I was able to sit down with two of the show's planners, GDC Event Director Meggan Scavio and IGF Chairman Simon Carless, and find out what to expect at GDC 2010. "We're going to be a bit particular with who the keynotes are [going forward] and you can't beat Sid Meier." "Sid Meier is a bit of a game design legend and he speaks pretty seldom," added Simon Carless. "We're very happy to get him." Civilization V is coming out in the fall and Meier will no doubt mention it during his speech, but it will be very much a speech on game design. "He's taking very practical examples from the games he's working on," said Carless. "And from a pyschology of game design point of view, how to make the players feel more intelligent and give them a more interesting game experience. "Obviously, people are expecting platform keynotes and we will run those when we feel there's things that are particularly relevant to our audience," added Simon Carless. "It needs to be dead-on relevant to our audience, which are game critics." "It's never been a promise that a platform would get a keynote," Scavio said. "Every year, they would have to pitch us something." GDC typically runs from Monday to Friday, with the heavier traffic and bigwigs being around from Wednesday on. This year, however, the schedule is Tuesday to Saturday, with some very heavy-hitting panels and content slated for that last day. Why the change? "We were at the mercy of the Moscone Center, unfortunately," said Scavio, referring to the convention location. "These were the only dates available in March. It's only this year, we'll be back to a Monday through Friday next year." Meggan Scavio has been working with GDC for 11 years, but has only been in charge for the last two years. She doesn't feel that her promotion has been that big of a change. "I don't really see it as taking over, because we work as such a team," Scavio said, modestly. "We all do this together so I don't see this as taking over, more as leading the herd." Scavio and Carless were quick to point out that it's not really their convention, it is the advisory boards who actually choose the program. The boards consist of some pretty heavy hitters in the industry including Rob Pardo at Blizzard and Mike Capps at Epic. "People presume that we pick lectures using some kind of a Ouiji board, I think," Carless said with a laugh. "Actually, whenever you submit lectures, genuine experts in the industry check them out and discuss them amongst themselves." Although the pair has been working to bring all of the great panels and lectures together, they are especially looking forward to this year's Game Design Challenge. For several years at GDC, this event has pitted designers against each other to design a game on paper based on a theme, and then the audience picks the best design. Previous winners include Will Wright (Sims) and Alexey Pajitnov (Tetris) and themes have ranged from an "inter-species" game to last year's controversial "my first sexual experience." 2010's theme is "Real Life Perma-Death" and the competitors are Portal's Kim Swift, Heather Kelly and Anne Robinson (defending champs) and Jenova Chen from That Game Company. "We've been skewing a little bit towards up-and-coming designers for recent Game Design Challenges, which I actually kind of like," said Carless. "It's always a lot of fun."